It’s that time of year again to get organized for what promises to be a big year of cricket at the Sunbury Cricket Club (SCC). Support your child’s health and physical development while having fun playing cricket with their friends in a club environment. As in previous seasons SCC Senior players will continue to play an active role with coaching during practice sessions and on game day where possible. There will also be access to tuition from our newly appointed Development Coach, John Marshall. Our aim is to have the practice sessions and matches run as smoothly as possible so we welcome any parents, coaches and volunteers that are prepared to help. 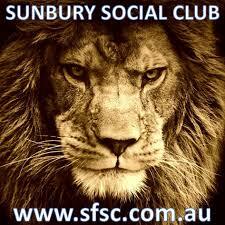 To get things going this season we will be holding a Junior Registration Day down at the Sunbury Football Social Club, Clarke Oval on Monday 2nd September between 5.30pm and 7.30pm. This will be a great opportunity for you and your budding test cricketers to meet the coaches, club administration and some of the senior players. This season we will be supporting teams in under 11, under 12, under 14 and under16 age groups, plus we will be running a Milo IN2Cricket programs for kids between 5 and 10 years of age. The Milo IN2Cricket program will be $75 in season 2013/14.